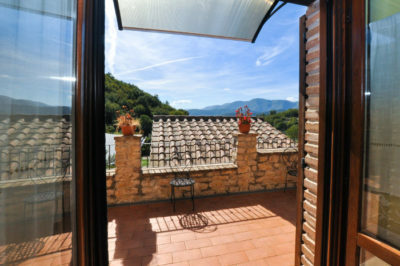 Completely designed and furnished in accordance with the Tuscan and Umbrian most typical architectural style, with fair-faced stone walls and antique roof tiles on the outside and big chestnut beams, rustic hollow flat tiles and terracotta floors on the inside. In this architectural context, strictly faithful to the local tradition, there’s still room for comfort, which discreetly finds its rightful place thanks to the solar-powered underfloor heating. 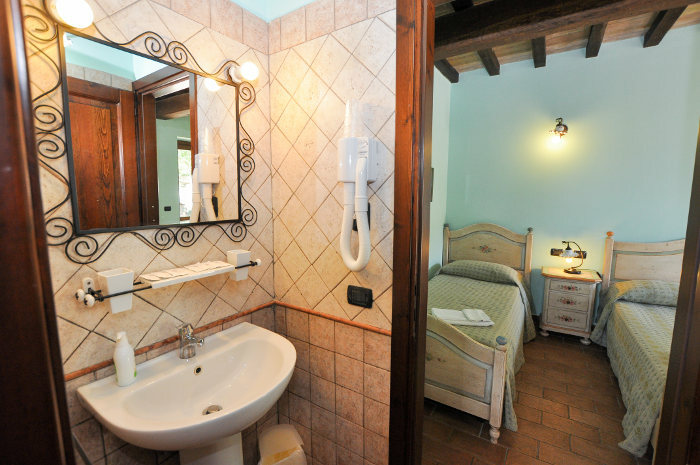 Equipped with every comfort, with heating, air conditioned and private toilet; it also offers a view over Piediluco Lake and Restaurant on-site. Faithful to the local tradition, with fair-faced stone walls, big chestnut beams, rustic hollow flat tiles, terracotta floors and underfloor heating. 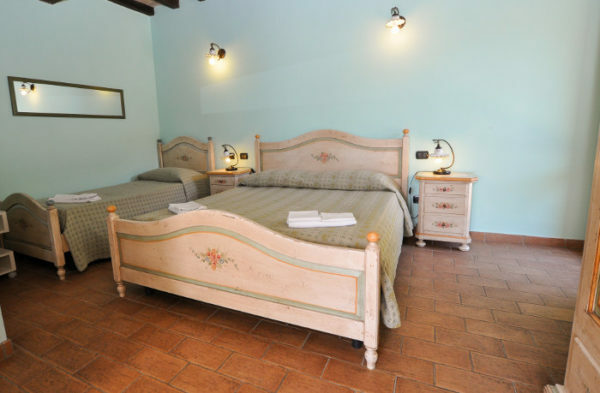 Comfortable and very spacious rooms with rustic and elegant style, with chestnut beams, terracotta floors and poorly crafted furniture.